It seems like I heard this a long time ago, but I’m sure you all have too. A boy cries out “Wolf” as a joke, and everyone runs for cover. He does this again, a few too many times, and the townspeople get weary of his false alarms. When the wolf really does come, and the boy shouts once more, the people just assume he is joking once again, and he gets eaten by the wolf. Something like that – you can tell I have no knack for children’s tales. They didn’t all live happily ever after. But the Civil Defence organisation in New Zealand is just like this boy crying wolf. Yesterday, as you no doubt know, there was a massive earthquake in Santa Cruze, which has flattened villages and killed some people. The quake was hardly felt in Honiara, the capital of the Solomon Islands, which is the nearest landmass. Undoubtedly, attention should be paid to such events, and I would have thought that the first priority would be to offer assistance, if needed, to the islanders involved. But Civil Defence chose instead to scare people in New Zealand into thinking that they might be the ones in danger. A tsunami warning was issued for NZ, from North Cape right down to Nelson, with waves forecast to hit the north at 6.00pm and hit Wellington at 7.30ish. Police were apparently spotted on beaches as far south as Nelson, telling people to get out of the water and evacuate the area, in the middle of the afternoon. Completely stupid response. Civil Defence leader John Hamilton was on the 10.30 news tonight, looking hot and flustered, trying to justify his pointless over-reaction and saying that there could still be surges in the harbors, up to 48 hours later. No John, that really won’t happen. You need a basic lesson in Physics. Primer One physics, probably. 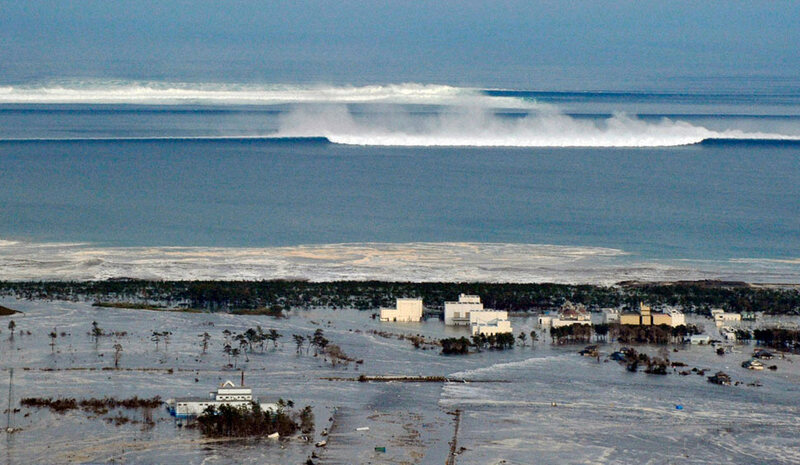 We’ve all seen the real tsunami footage, the terrible, AWEsome footage of heart-breaking devastation in Japan, where the massive undersea quake immediately off the coast, sent waves straight onto the shoreline of Japan. Waves, several metres high, thick, black, fast, inexorable, a huge earth-tilted mass of water from that quake caused massive damage in Japan on their nearby coast, surges in Harbour levels elsewhere in Japan and even some storm-like surges over in California and down in Peru, but in NZ we had a barely perceptible 10cm “surge” which no-one saw. A wave was reported today from the quake at 90cm high near the epicenter, which shouldn’t be underestimated, but is barely bigger than a hobbit in a fat suit. Here we are, several thousand kilometers away, and we get spun a line about how we might be in danger? No, I don’t think so. Waves in a straight line, in a box with rigid sides, yes, they can travel long distances without losing much amplitude – but as we all can remember from basic physics, waves in a pond from a ripple spread out and out, losing effect as they go. And the Pacific ain’t nothing if it ain’t a big pond. Wikipedia notes: A point source is vibrating at a single frequency f with phase = 0 at t = 0 with a peak-to-peak magnitude of 2a. A spherical wave is propagated from the point. The phase of the propagated wave changes as kr where r is the distance travelled from the source. The magnitude falls off as 1/r since the energy falls off as r−2. There are all sorts of wicked formulas I could quote, but that last bit is the essential point – in a wave propagating out in a spherical pattern, the energy falls off and the magnitude of the wave dies down. The effect by the time it gets to New Zealand is pitifully small. There was never any real danger to New Zealand from a tsunami, not today, but I don’t begrudge them the warning. The “advisory” was cancelled at 9.00 last night, 2-3 hours after the possible effect had passed, and no wave action was noticed. It could have been, and perhaps should have been, just a warning early on, and cancelled by about 4pm, when they knew that nothing had happened at points closer to the epicenter. But instead people were panicking, ordering people out of the water, imploring sinners to repent and find Jesus, and generally thinking selfishly of themselves instead of the people needing help in the Solomons. We need to get our priorities right. Me? I went swimming. The sky was blue, the sun was hot. The water was beautiful, dead calm, barely a ripple. 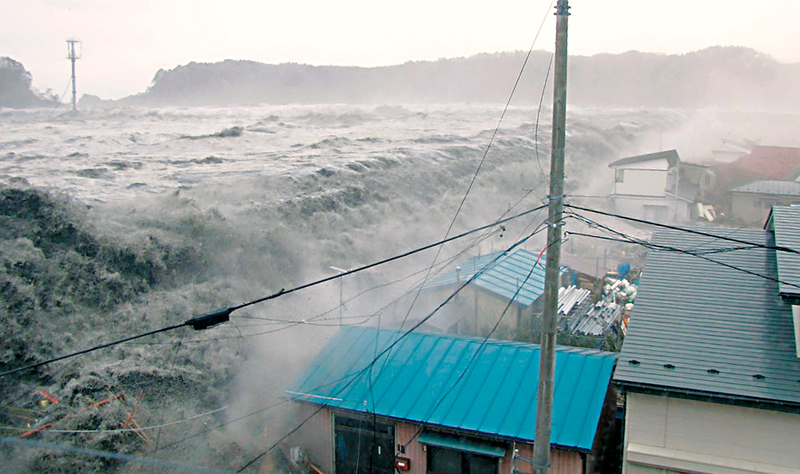 But tsunami don’t actually behave as point-source waves, or at least they don’t have to – it depends on what happens undersea, which we can’t currently tell at the time. If not the wave will weaken, but not nearly so much as a true radial wave will (try modelling a rectangle). At this point in our understanding we still need actual observations to find out what’s happening, and those need to be directional. We don’t know enough yet or as much as we thought even a few years ago. I really can’t blame them at all for the warning, and even later for not retracting it just in case. There’s a human element to that – nobody wants to be the one who pulls it back wrongly. There wouldn’t have been any need to get people out of the water nearly so early as they did even if something troubling to swimmers but not cataclysmic were coming, of course. That’s probably a difficult nuance to communicate though. Good comments, thank you Marcus. Compare with Wellingtons current earthquake prone building hysteria. We’re about to bulldoze billions of dollars of real estate and force billions of dollars of strengthening work on to building owners. This will bankrupt some of them and it will destroy the savings of many inner city residents. It will ruin some of Wellington’s nicest streets. Most of the buildings would be severely damaged after a large earthquake, but will not collapse or kill anyone. After being strengthened, or bulldozed and rebuilt, they’re still liable to be damaged and uninhabitable. And we’re doing this for an earthquake that happens every 200-400 years. If 200 people die in a once-every-200-years earthquake, then the death rate is less than for pedestrians killed by Wellington buses. But we’re not going to spend $10billion or more protecting people from buses. 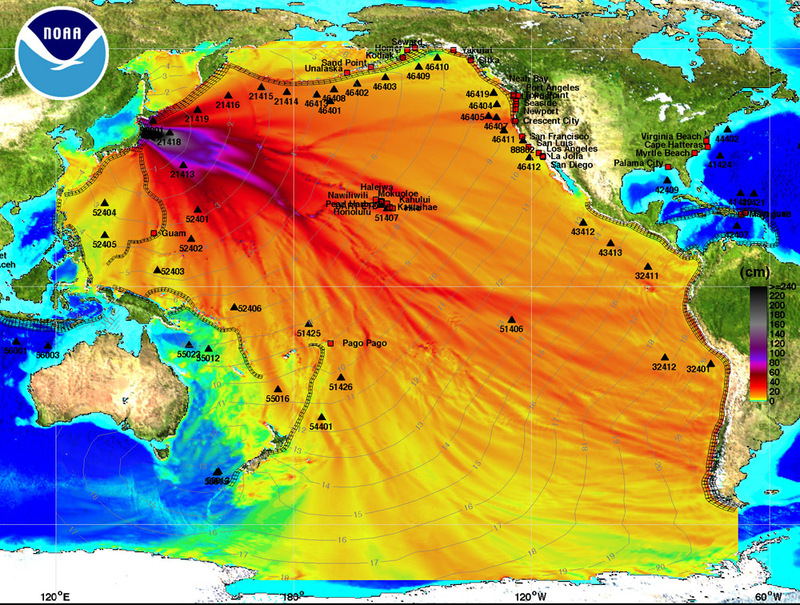 Oh, and if there is a huge nearby earthquake, then a real tsunami might be the real killer. So, davidp, I’m guessing that you will be putting in a submission to the DBH on Seismic Building Response? >I’m guessing that you will be putting in a submission to the DBH on Seismic Building Response? I’ll consider it. But I’m not sure how much good it will do… the people involved (public servants and government) seem determined to over-react over this issue, rather than just let natural renewal of the building stock take its course. They get away with this because governments need to be seen to be “doing something”, regardless of the small benefit to cost ratio. Also because commercial property investors are seen to be greedy fatcats, and inner city apartment owners are still a tiny minority of NZers. If they passed legislation forcing the owners of suburban homes to spend hundreds of thousands of bucks each safeguarding themselves from liquifaction, or landslides, or whatever then there would be a major revolt. Which is why no-one would dare try. I’d rather a false warning than no warning. It’s better to practice to stay away from danger as the instinctive human reaction to these things is often to act possum hoping the danger won’t see us (ask people who experienced the Chch EQ). 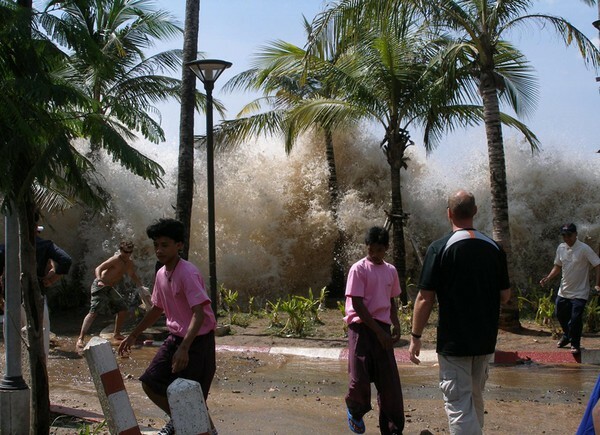 It’s taken some dramatic imagery on the telly to show most of us that a tsunami is a wall of solid water mixed with debris and has the consistency of runny concrete. better to be clear of than get caught in amongst. BTW your physics teacher never told you what every surfer knows. Waves increase in energy when they hit shallow water and have a habit of bending and concentrating their energy. Although the inverse square rule holds some relevance, there are plenty of folk in Sri Lanka (further from Aceh than NZ is from the Solomons)that can tell you it is not the only factor. Have you forgotten? Mr David P – if I may make a comment here – I went to the MoBIE presentation the other night, and it was interesting how the minister (Williamson), was making pretty damn sure that no one over-reacted. He said, probably half a dozen times or more, that “we” must not go for the “gold-plated” response, and that we had to keep a reality check and think about the “balance”. From what I read from that, the Government has decided that “the people” should decide (he emphasised time and again that the government had NOT made up its mind yet, and is waiting for Our Feedback). They are therefore running scared that the people will want them to spend money, which will bankrupt the country (he said that, not me). So he is imploring us not to ask for expensive solutions. On the other hand, of course, is the argument that NZ cannot afford NOT to strengthen properly, as another earthquake the size of ChCh will bankrupt the country. This one almost has done that already – not the actual earthquake, but the after-effects of having to demolish all the buildings that survived, and rebuild them from scratch. That’s the really expensive part. In Haiti, which had their massive earthquake in early 2010, they have no money for rebuilding, and no money for demolition either. So people still remain in half-standing buildings, and they haven’t even managed to clear the debris of dead people yet. Our vast reliance on insurance, like the good little middle class white folk that we are / are ruled by, has almost bankrupted the EQC, the Government, the insurance industry, and quite a few of the people. I believe we simply can’t afford to NOT do it properly this time. …or at least do things much better. You are right in questioning the concept of simply doing what we can afford as this leads to the Warehouse approach to design where affordability gets confused with the dirt cheap. Good solutions that have a better chance of holding old buildings together will cost. Any it’s worth doing in so many cases.